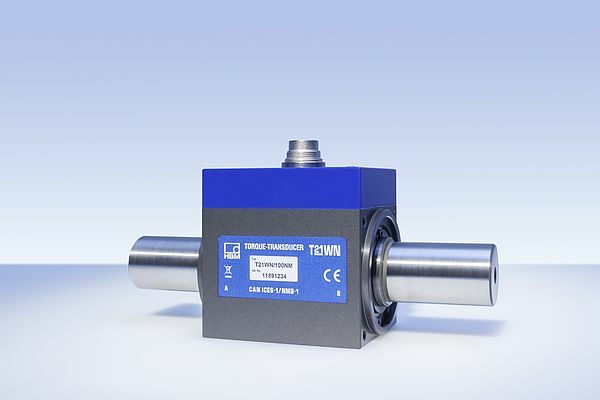 HBM Test and Measurement (HBM) has introduced its new T21WN torque transducer. Based on strain-gauge technology, the T21WN uses contactless energy and measurement signal transmission to measure torque. The torque transducer enables demanding static and dynamic measurements of torque, rotational speed, and angle of rotation to be performed on non-rotating as well as rotating components. It is ideal for laboratory, test shop, and testing applications as well as for use in production and process monitoring and quality assurance. Apart from the torque output signal of +/-10 V at nominal (rated) torque, it also provides a standard frequency output signal of 10 kHz+/- 5 kHz.